Birthstone Angel Charm with Any Engraving on Sterling Silver Tag. 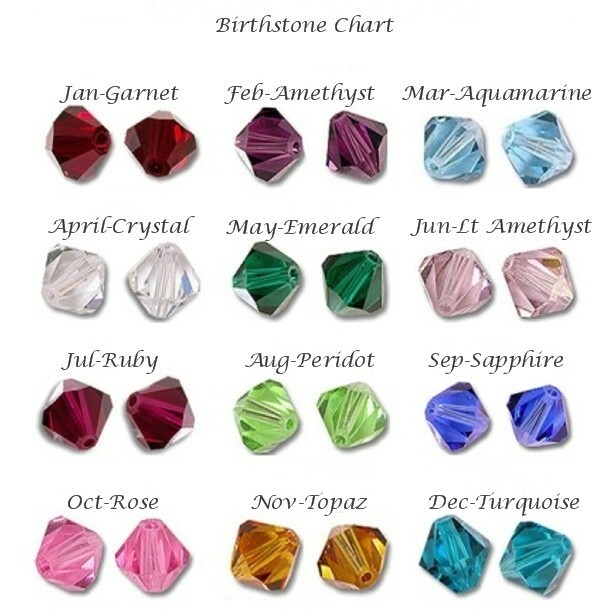 A Pandora Style Charm which will fit on most European style bracelets and snake chain jewellery. The silver heart tag can be engraved with your own words, dates or messages. 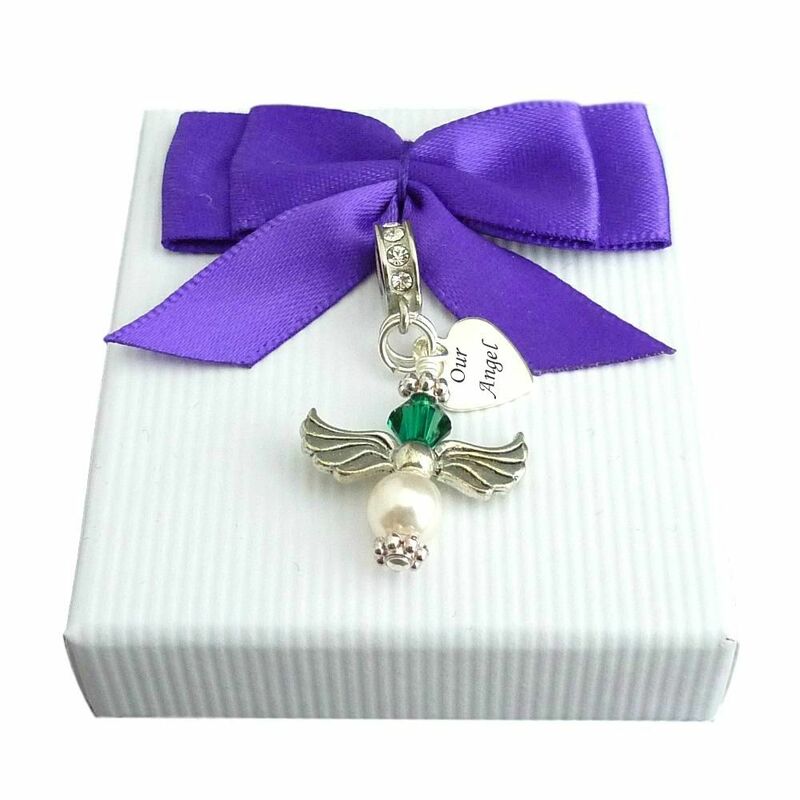 Beautiful little birthstone and pearl angel charm hanging alongside a Sterling silver heart tag. Made with genuine Swarovski crystal and pearl from the Elements range. A maximum of 12 characters can be engraved on each side. 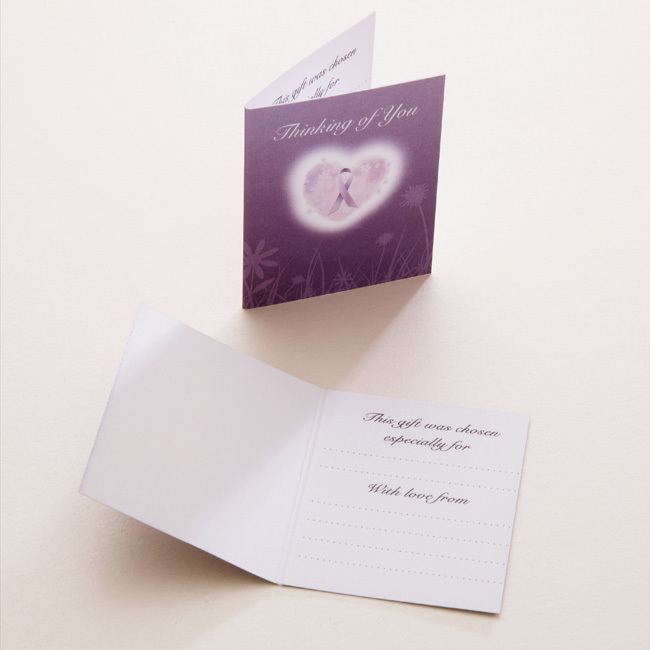 Comes in the gift box shown, along with a gift card for you to write your own personal message inside. Part of our range of personalised bereavement jewellery and sympathy gifts. Measurements: Angel 12mm x 6mm. Heart 10mm x 9mm. Delivery: We promise to make and dispatch all orders within 3 days maximum of receipt of full details and payment. We also offer an Express delivery service for urgent orders. Special Requests Box: Please write in here anything you would like to request, tell or ask us about your order. If you ask a question please ensure we know the best way to contact you so your order isn’t delayed.